Adaptation of Ayn Rand’s early novel, Anthem will republish in 2011 and will be available in bookstores. First published in 1937, Anthem read like a work of science fiction, akin to Aldous Huxley’s Brave New World and George Orwell’s 1984. In a political climate like today’s where the competing factions toss out words like “socialism” and “fascism,” Rand’s controversial adventure should find a new and welcome home. The concepts are still intellectual, and the graphic novel format makes it accessible to a younger audience. 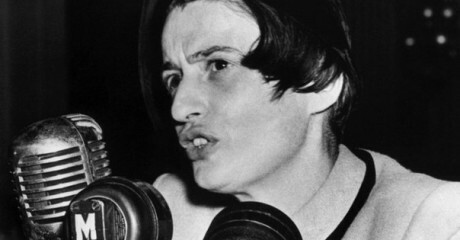 The real name of Ayn Rand is Alisa Zinov’yevna Rosenbaum, a Russian-American novelist, philosopher, playwright, and screenwriter, is known for developing a philosophical system she called Objectivism. Rand’s political views, reflected in both her fiction and her theoretical work, emphasize individual rights (including property rights) and laissez-faire capitalism, enforced by a constitutionally limited government. She was a fierce opponent of all forms of collectivism and statism,including fascism, communism, socialism and promoted egoism while rejecting the ethic of altruism.